The Aussie Sky Kit comes in an attractive sky blue colour. The carrying case is sky blue along with the stem. 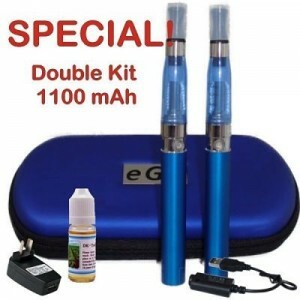 The double kit includes two e-cigarette stems, batteries, clearomizers along with plug and charger. 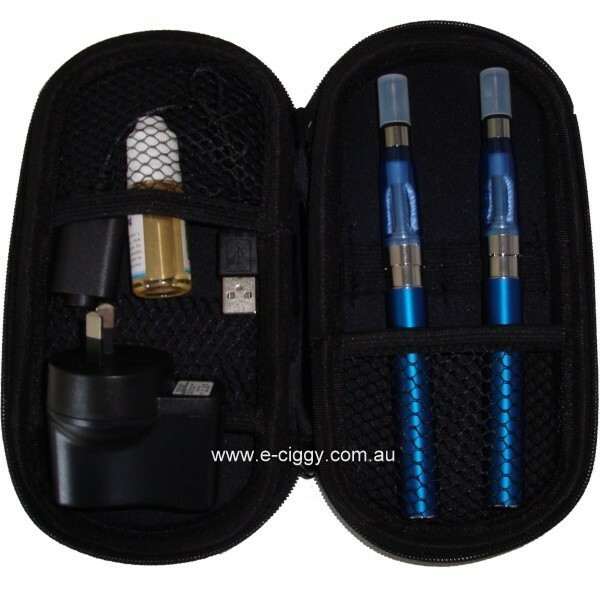 Get maximum vapour enjoyment with the smooth flow of vapour that is offered with the Aussie Sky. A smooth and enjoyable experience every time is to be expected with this kit. The juice inside electronic devices is available due to small cartridges of liquid. When this is heated up inside the electronic device, small amounts of vapour are produced, which are sucked back through an inhaler, and into the mouth of the person using it. This provides the stimulant which the 'smoker' needs. For most people, the e-ciggy provides enough vapour to simulate the standard amount produced by burning tobacco. It produces a vapour hit thanks to battery powered heating coil. The battery connects to a chamber where e-liquid can be vaporised. This chamber is a plastic tube containing the controls for the device and the atomizer, which turns into vapour. When users want to have some nicotine, they place a small cartridge with nicotine liquid into that plastic tube, and then inhale the mist through the end of the tube, or mouthpiece. The whole e-cig is designed to resemble the 'real' thing, and many even have LED lights on the white end of the device to simulate the burning end of tobacco. The liquid inside it is produced using a mixture of propylene glycol, often used in smoke machines or as food additives. The liquid can be either plain flavour, or contain other tastes, including tobacco or menthol, but also including chocolate, apple, mint, coffee, caramel and cherry, among others. This means that users always have a selection of flavours to choose from when they are selecting liquid nicotine or non-nicotine e-juices to use in their e-cigs, and also means that they can vary the flavours depending upon the time or where they are. 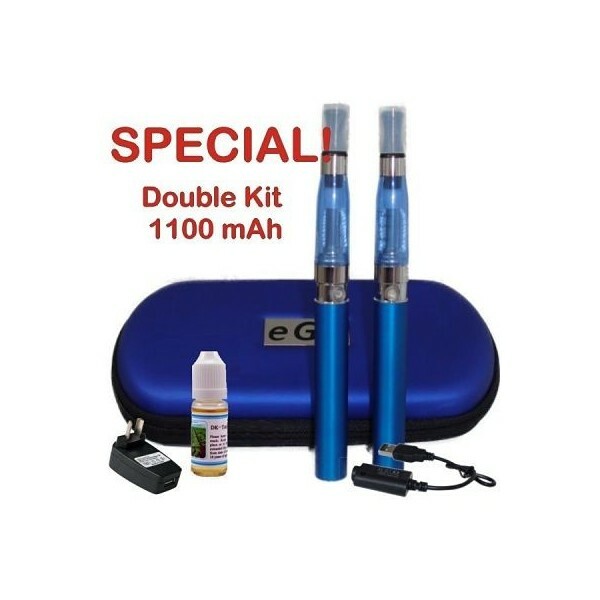 In addition to the number of flavours, there are also many different makes and models of e-ciggy, so users can get a design which most suits them. The majority were designed to resemble the traditional tobacco one, but there are also some which resemble pipes, pens and cigars. There are also some which do not try to be anything other than an electronic device, and these might be silver-coloured or even have patterns over the surface. Once the cig has been bought, users can easily purchase more bottles of liquid nicotine in order to refill it once the e-liquid has been used up. Comment : I got it 1 month ago. At the beginning I had some problems with the clearomizer. It tasted awful! I changed the clearomizer to a new one and now is everything ok. Great vapour from this cigarettes! I highly recommend this kit as the price is cheap. Previously I bought it from a different website and I paid over $100 for the same starter kit. Comment : Everything that is needed is provided with the Aussie Sky starter kit. Comment : The blue case is just hot. I like how it looks. Great and fits well in my bag. Comment : Love the videos. Helps me assemble a little bit better. Comment : batteries hold a good charge. more than i thought they would. Comment : Not exactly what I expected. It was WAY better. Great product. Comment : A sharp looking cig for sure. I like mine a lot. Comment : I love the color on this one. Royal blue is pretty and deep in color. Nice splash of personality in the ecig. Rating(s) and review(s) : Aussie Sky Kit - Reviewed by : Vicky J - Rating 5 / 5 - I got it 1 month ago. At the beginning I had some problems with the clearomizer. It tasted awful! I changed the clearomizer to a new one and now is everything ok. Great vapour from this cigarettes! I highly recommend this kit as the price is cheap. Previously I bought it from a different website and I paid over $100 for the same starter kit.